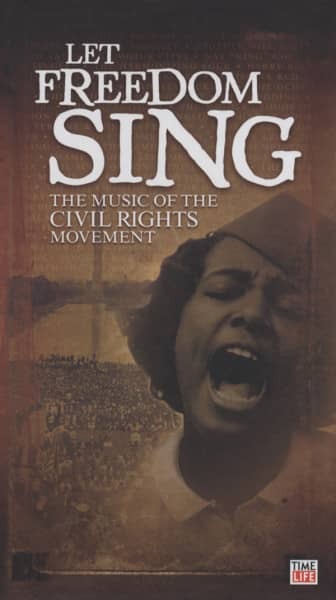 'The Music Of The Civil Rights Movement' (2009/TIME LIFE) 58 tracks, original historic recordings - three years in the making. From The darkest days of segregation through the struggles of the 1950s, the triumphs of the 1960s, and beyond. Includes a 40-page book with detailed commentaries, a timeline, and rare photos. 19 Alabama Blues LENOIR, J.B.
13 Why I Sing The Blues, Pt. 1 KING, B.B. Kundenbewertungen für "Let Freedom Sing! (3-CD Digibook)"